Ah, the sound of a brand new Ferrari. We’re biased, we admit it because we can’t think of anything more beautiful. Okay, classic road cars are in their own category of launching pure euphoria, but there’s something incredible about a new ride. Maybe terrifyingly delightful would be a better term. In essence that’s how many are industry experts are interrupting the new Ferrari 488 GTB’s incredible display of strength and power. If these Ferrari 488 GTB specs and engine capabilities don’t wow, the new road car sure makes a great first impression. What does the Ferrari turbocharged engine sound like? For many loyal fans of the traditional Ferrari naturally-aspirated engines, the company’s transition to turbocharged engines has been a difficult one. Truth be told, the difference is nearly indistinguishable to the untrained ear. What’s more is the twin-turbocharged engines allow Ferrari to continue to pack even more power into each, while abiding by international emissions laws. Truly one of the most significant things about the Ferrari 488 GTB is its new twin-turbocharged engine, compared to the Ferrari 458 Italia’s naturally aspirated engine. At it’s core, the Ferrari 488 GTB’s new twin-turbocharged engine boasts 670 horses with a dual-clutch seven-speed transmission as the perfect companion. What’s more is the 488 GTB delivers 50 percent more downforce than the Italia. That’s in fact less drag than any Ferrari road car ever built. And while the 488 GTB succeeds the 458 Italia, it also brings more power and capability in one dynamic package. Interested in learning more about the new Ferrari 488 GTB or the 458 Italia? 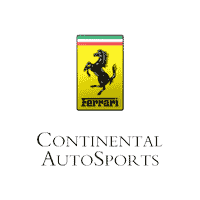 Contact the team at Continental AutoSports today!